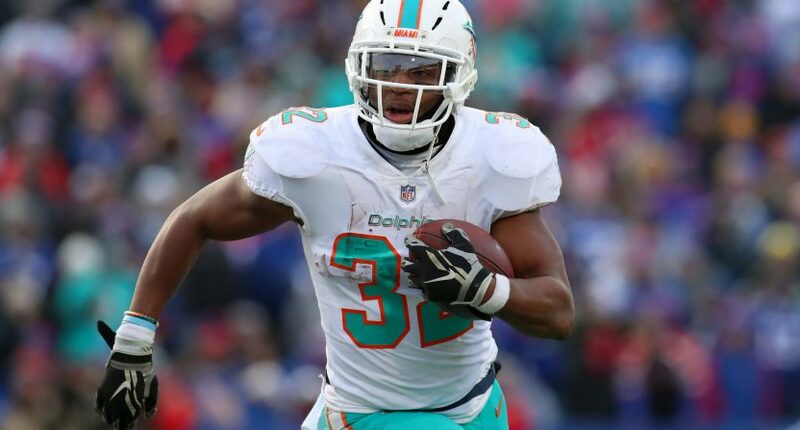 While the Miami Dolphins had a largely unmemorable season, one moment which stuck out was the ‘Miami Miracle’ when running back Kenyan Drake scored a touchdown with the time expired after a series of hurdles, securing a 34-33 Week 14 win. Drake immediately threw the ball into the stands after the score. A month and a half later, someone who got their hands on the ball decided to auction it off. TMZ reports the ball received 23 bids during a recent Steiner Sports auction, climbing up to $18K. Unfortunately for the seller, the bid didn’t hit the $20K reserve and went unsold. Now seems like a good chance for Drake to go after the ball, considering he tried to trade for it after realizing he threw it into the crowd. 20K is a lot though, but it might be worth the cost for him as it’ll likely be the most exciting play he’ll ever experience in his NFL career.